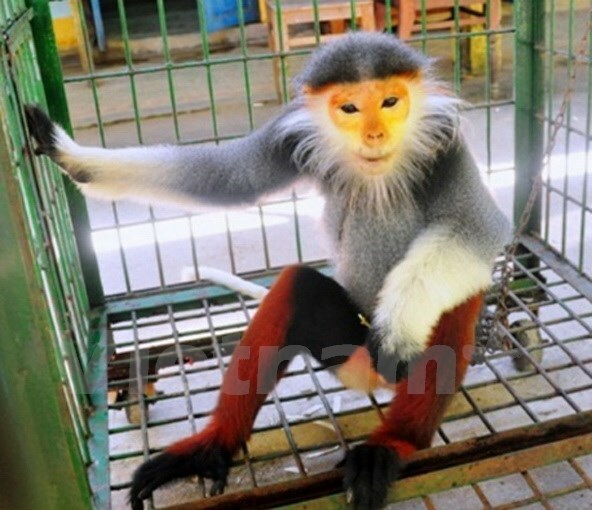 Thua Thien-Hue (VNA) – A red-shanked douc langur (pygathrix nemaeus) was handed over to the Cuc Phuong national park in the northern province of Ninh Binh by forest rangers in Phu Loc district, the central province of Thua Thien-Hue on August 14. The male stray langur, weighing 6.5kg, was caught in Lang Co town of Phu Loc district by local people on August 13. The primate is listed in the IIB group as endangered in the Red Book of Vietnam.